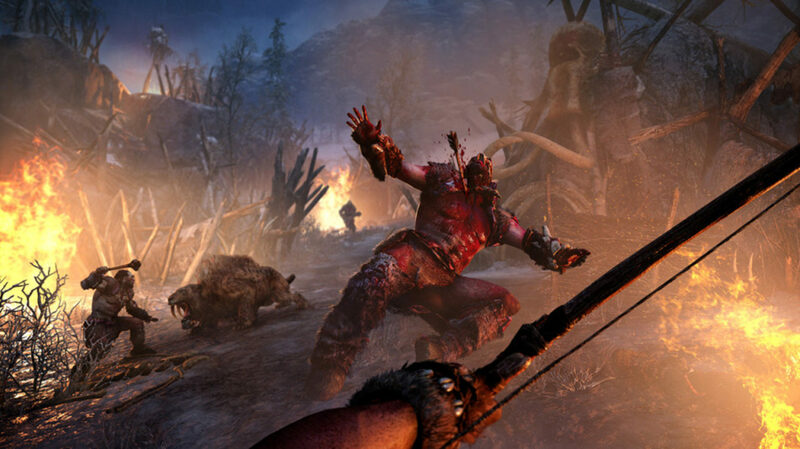 The Pennyworth Summary: Far Cry Primal may still look and feel like a Far Cry game but the new focus on wildlife taming, navigating the wilderness and primitive weapons is a pleasantly different experience despite feeling so overly familiar at times. Gamers already feeling tired of the franchise need not apply. What is it? 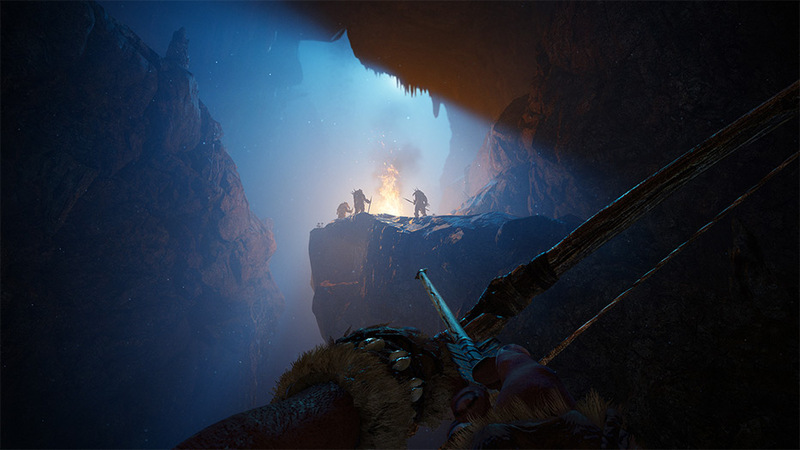 Set in 10,000 BCE, Far Cry Primal is an open-world action/adventure where you play as Takkar, a member of the Wenja tribe trying to help his people settle in the beautiful (fictional) valley of Oros. Takkar must use his newfound supernatural animal taming abilities as well as his abilities with bows, spears, clubs and more to fight and survive dangerous predators and vicious other tribespeople. While Far Cry 3 really rejuvenated the franchise and took it in a new direction, Far Cry 4 mostly took what worked and added some extra features in a new setting without actually changing much about the core concept. With games of this size and in an industry as saturated as this, a move like that can very easily leave fans tired of the series and in need of a long break. This is exactly how I felt going into Far Cry Primal, and despite all of Ubisoft’s attempts to point out its vastly different setting to the previous games, I felt like I’d already had my fill of Far Cry and didn’t really need or want to go through all of it again. 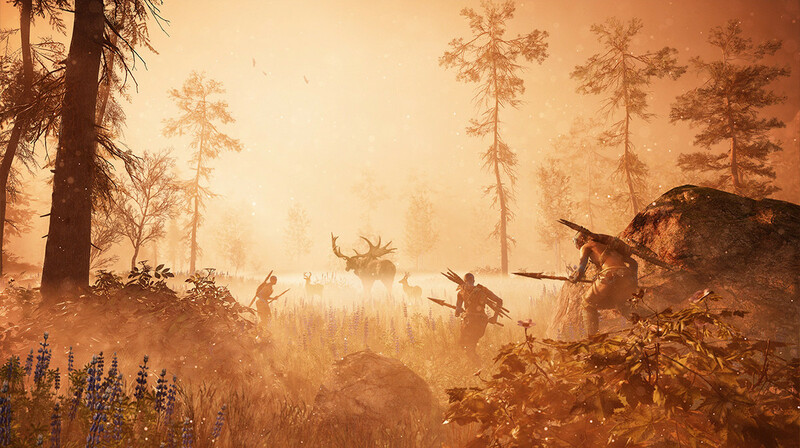 I’d initially felt like my gut feeling was right on the money but the more time I spent with Far Cry Primal, the more I realised that I had been wrong. Far Cry Primal’s opening hours introduce an entirely new and fascinating world to fans of the franchise but it hits a few hiccups in its opening hours as it tends to get off to a rather sluggish start and even had me contemplating if I was just straight-up bored. Guns, Jeeps and Rocket Launchers were nowhere to be seen and instead, I’d found myself on foot, travelling some fairly significant distances wielding not much more than some handmade weapons in an valley almost entirely made up of things trying to kill and eat me. As time went by however, the game and its new abilities revolving around the limitations of the era and my newfound abilities as “The Beast Master” got the experience to start opening up and I realised that I was dealing with something a little bit different to what I was expecting. A lot still feels familiar and is ultimately the reason why this is still a Far Cry game at heart and those reasons extend into various areas such as a “special-snowflake/chosen-one” story line (albeit not as linear as before), hunting to craft new items, the progression systems, maps, controls, attacks/abilities and the general size and amount of missions and activities to perform over the course of your play-through (spoiler alert, it’s still a lot). 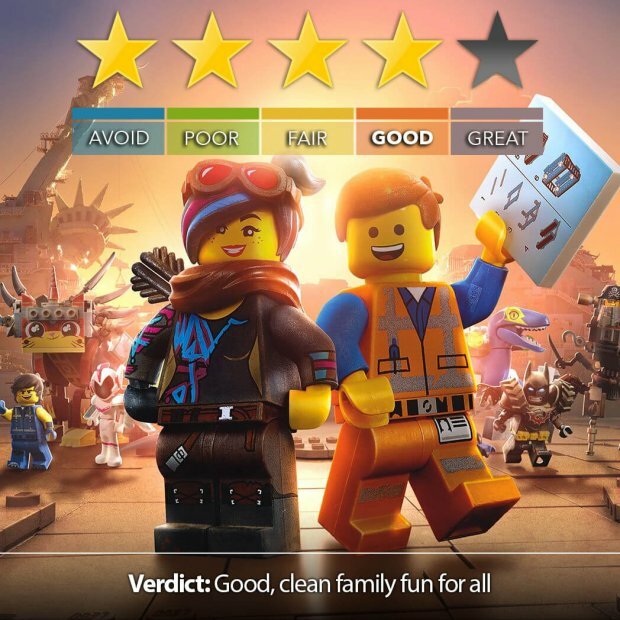 Also familiar is a line-up of interesting and/or insane characters that end up being the source of all your tasks through the story, one of the most memorable of which is a goofball inventor who is speaking in a primitive language but with nothing less than the full twang of a Matthew McConaughey style Texan accent. Last, but definitely not least where Far Cry is concerned, is a dash of drug-induced set pieces added for good measure and as crazy as they can be, they are also really show off the game engine’s visual capabilities. Where Primal strays away from the previous games and finds its own path comes down to a few key changes in the recipe, the first of which is that it can definitely no longer be classified as a shooter. So, what is it then? The story and campaign revolves around you, Takkar “The Beast Master” building and enhancing a village that you have created for your people by completing missions and collecting the necessary resources required to do so, which in turn furthers the story and leads to new characters, missions, items and skills being unlocked over the course of the game. Two other tribes exist in the same valley that you are trying to settle in though, the barbaric Udam who are slightly less evolved than the people of your Wenja tribe and the Izila who are a little more advanced in terms of primitive technology… oh and also that other minor thing where they were smart enough to realise that its easier to enslave people from your tribe rather than do all of the hard work themselves. The lighting and atmosphere will take your breath away, not unlike a giant spear to the chest. Primal is a tad more serious than previous Far Cry games and leans more on the side of disturbing/violent rather than over-the-top cartoony violence. The very heavy focus on melee/close-range combat plays a big role in Primal’s core experience and effort has been put in to really emphases just how brutal conflict is when it essentially boils down to groups of people violently bludgeoning and/or stabbing each other to death with nothing more than brute strength, pointy rocks and big sticks. That said, the need to get closer to enemies and the inability to switch to a grenade launcher when all goes to hell during a Tiger hunt makes Primal’s combat feel satisfyingly engaging and there’s nothing quite like the feeling of your thrown spear slamming right through an enemy’s chest or your Club’s takedown animation feeling like you really just caved that poor sod’s head right in. As I said, brutal. Your ability to tame animals brings in a new angle of approach, as you are now able to tame animals and have them as companions with unique abilities such as spotting enemies, automatically looting dead foes, performing stealth kills and so on. They really come in handy and allow for some strategy when approaching missions, outposts or random encounters and the original “spotting” concept left to your camera is now replaced with your ability to see through the eyes of an owl flying overhead. Even more so when having to travel great distances (especially in the time before you have any sort of beast riding perks) as moving through the wilderness is a constant game of deciding if you should engage or avoid dangers, especially at night as more predators come out to play and the wild really comes to life. I mentioned that there were no modern Jeeps earlier, but I hadn’t yet mentioned that it doesn’t matter after a while because who needs a Jeep when you have an all-terrain Sabre-Tooth Tiger or rampaging Wooly Mammoth? Jeep Shmeep. Oh, oh, oh, oh Oros! The The Vallery of Oros’ atmosphere is a very big part of Far Cry Primal’s overall experience, and I can’t emphasise just how much it has to do with the often good but sometimes astonishingly beautiful graphics offered up by the Dunia Engine, with a very special mention to the natural and volumetric lighting. The forest areas are incredibly dense with lush foliage and seeing campfires (and their reflections) at night glowing off in the distance with their light catching the haze in the air as strong white moonbeams break through the blackish-blue hue of the night is a real treat for your face-spheres. 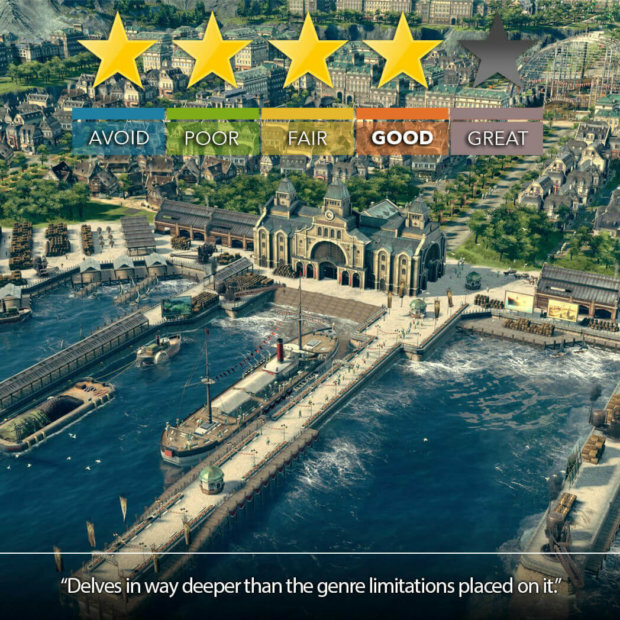 Character and creature details is also noteworthy, especially thanks to fully motion captured actors, not to mention that the entire game utilises versions of a fictional Proto-Indo-European language developed by expert linguists just for the game, and while it added a feeling of authenticity (and I had a bit of fun learning a few phrases and words over time), be warned that you might be put off by the fact that the entire game uses this language, meaning it’s subtitles all the way. I used to be an adventurer like you, but then I took a giant semi-blunt spear to the chest. While there’s never really been anything like it, the experience that Primal offers finds a line that puts it somewhere between Far Cry 4 and… well, something like Skyrim. With so much time spent traversing the terrain on foot (or feet) being mindful of predators and so much combat taking place up-close and personal, its nature-heavy tribal setting blended with a few supernatural elements comes closer to feeling like an open-world fantasy game with survival elements more than anything else. 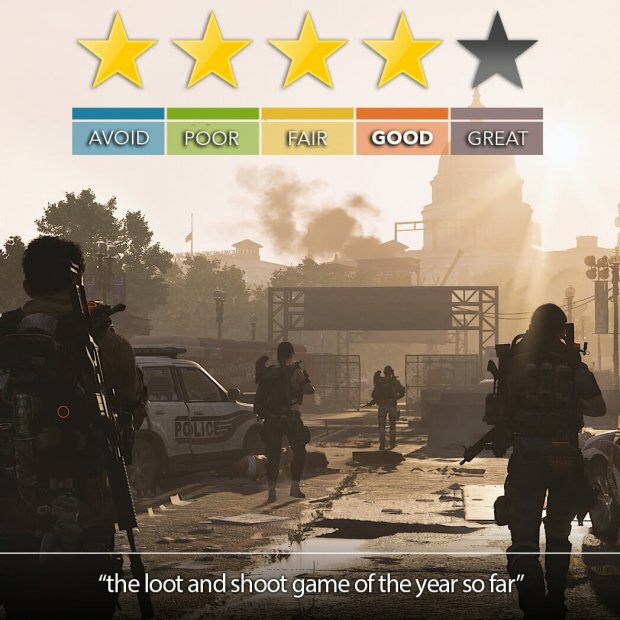 Most importantly in my experience is that I can say that I personally haven’t played anything quite like it and even though it feels familiar as a Far Cry game at times, its unique experience definitely counts for something. On that note, you should also take note that Far Cry Primal is strictly a single-player experience and doesn’t include any of the co-op or versus modes or missions seen in any of the previous games. If you liked Far Cry before and you’re interested in something different to not only the previous games but a lot of what’s already out there, Far Cry Primal offers up a pretty unique experience that’s as packed with content as it is with things trying to eat your face off. It’s not a perfect game by any stretch and still feels a little too similar to the last few Far Cry games though and leaves me almost wondering what could have been had it not relied so heavily on the core gameplay experience that stemmed from its Far Cry roots. Verdict: A really fresh spin on the Far Cry experience that is somehow as equally unique as it is familiar.